The main themes in the movie are how money and lack of parental guidance can spoil and drive children to the dark side of the world. It also highlights the state of educational institutes these days that mainly concentrate on revenue more than education and morals. Police receives information about the illegal behavior of a group of students in one of the investment universities and that they deal in drugs. One of the police Generals Azmy sets a plan to catch those students by implanting an unknown lieutenant Bassiouny among those students to know the secret of drug dealing and arrest them. 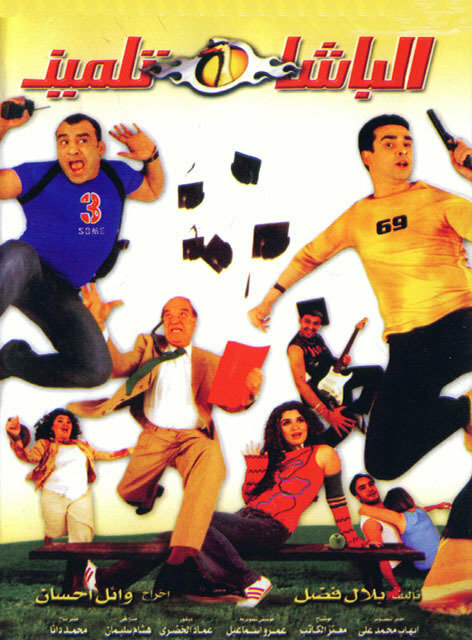 As the movie goes on we see the day& night life of this corrupted group that consists of four friends: Ingy the stylish girl whose main interest in life is fashion lines, Maya whose main interest is to love and be loved by any man, Hamza the singer and Tarek (Mohamed Ragab) the possessive leader and brain of the gang. In spite of their different characters the common thing between them is drugs, corruption and night parties. Bassiouny gets involved with this group falls in love with Ingy and emotionally attached with the rest of the group as he feels pity for their circumstances that drove them to this way of life. Finally Bassiouny arrests the real drug dealers whom we find out that they are the managers of the university!